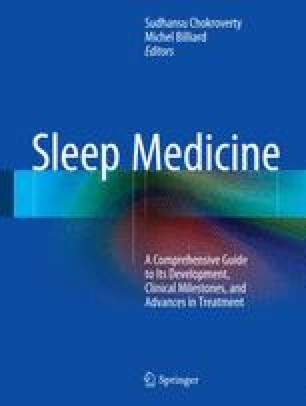 Three major civilizations in South America—the Aztecs, the Mayas, and the Incas—mentioned briefly about the practice of medicine but rarely about sleep and sleep medicine. In the Aztec society (the earliest Mexican civilization around 955 BC), explicit cultural codes governed interpersonal relations and daily activities. For example, the first rule prohibited one from sleeping excessively, otherwise the individual would be called a heavy sleeper or dreamer. Contrary to modern sleep hygiene recommendations, the Mayas used tobacco to ease sleep, and the effects of daily activities. In accordance with the fundamental structure of Inca cosmology, sleep is essential to wakefulness and vice versa, which is similar to modern concepts of sleep–wake homeostasis. During the Inca civilization, treatment by herbal medicine was, by far, the most popular remedy. For example, an infusion of Datura calmed the nerves and induced sleep. Belladonna (Datura ferox) was widely used as a “twilight sleep” for childbirth. I thank Jenny Milena Macheta and Diego Prieto for their assistance at the Universidad de los Andes, School of Medicine Library. Sharer R. Who Were The Maya? Expedition Spring 2012;54(1):12 -16. www.penn.museum. Martin S. Time, Kingship, and the Maya Universe Maya Calendars. Expedition. Spring 2012;54(1):18–24. www.penn.museum.